HawkWatch International is hiring a Conservation Biologist to work primarily on our growing International Program, which is focused on quantitatively identifying priorities and targeting raptor research and conservation worldwide. 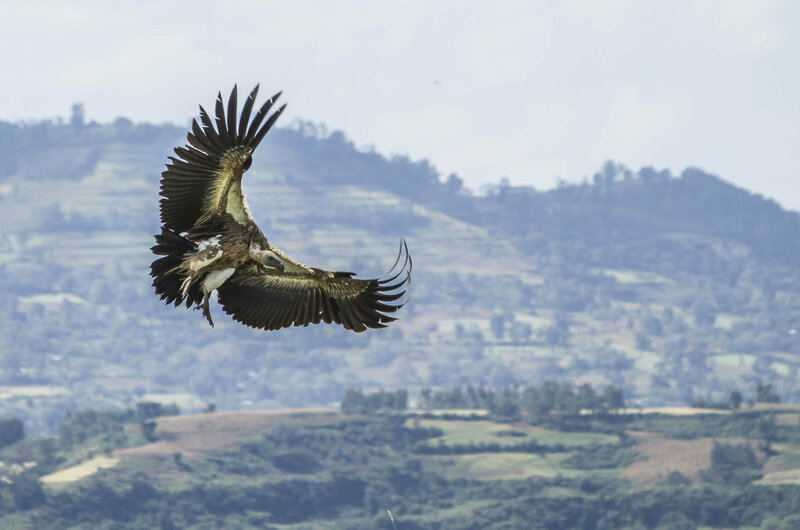 We are currently engaged in endangered vulture conservation in Ethiopia, and plan to expand projects to other high priority species and geographies globally. This Conservation Biologist position will be instrumental to program growth and will be engaged in all aspects of the program. This position will primarily report to the International Programs Director (Dr. Evan Buechley), but will also assist in domestic HawkWatch projects, as necessary. This position will be based at the HawkWatch headquarters in Salt Lake City, Utah, although we will consider extraordinarily qualified candidates that could work remotely. The primary responsibilities of this position are to: · Conduct literature reviews, analyze spatial and observational datasets, and coauthor and/or lead scientific publications · Assist in program development, including identifying and writing grants, donor appeals, and media outputs · Participate in fieldwork, both domestically and internationally · Manage databases (observational, satellite tracking, etc.) in Excel, Access, GIS, etc. · Communicate and collaborate with organizations and individuals worldwide to forward raptor conservation Minimum qualifications: M.Sc. or Ph.D. in biology, wildlife management, geography, or related field 3-5 years of experience in conservation practice and/or education Proven record of leading peer-reviewed publications Proficiency using R for statistical and geospatial analyses Experience conducting ecological field research Excellent writing and communication skills Preferred Qualifications: Knowledge of raptor / avian census techniques, management, and conservation issues Proficiency in ArcGIS and/or QGIS Spanish or other widely-used language proficiency Experience analyzing animal-tracking data Ability to adapt to and work in remote field settings in developing countries Ability to work from the HawkWatch headquarters in Salt Lake City We encourage applicants of diverse backgrounds, ethnicities, etc. as we value a diverse and inclusive HawkWatch community. Compensation: Full-time (exempt), salaried staff position. Starting salary of $36,000–$42,000 (depending on experience and education), with excellent benefits package, including medical, dental, and matching retirement plan. To apply: Send cover letter, CV or resume, and contact information (phone #) for 3 references To: Dr. Evan Buechley, International Programs Director, ebuechley<at>hawkwatch.org By: February 22, 2019 Preferred start date: April 1, 2019 (somewhat flexible) For more information on HawkWatch and our programs, visit www.hawkwatch.org.